Professors and students from Northern Iowa University. Doctor Jessica Moon (next to Sr. Beth) is director of the Honors Program at the University of Northern Iowa. They are studying monastic life in the Middle Ages. 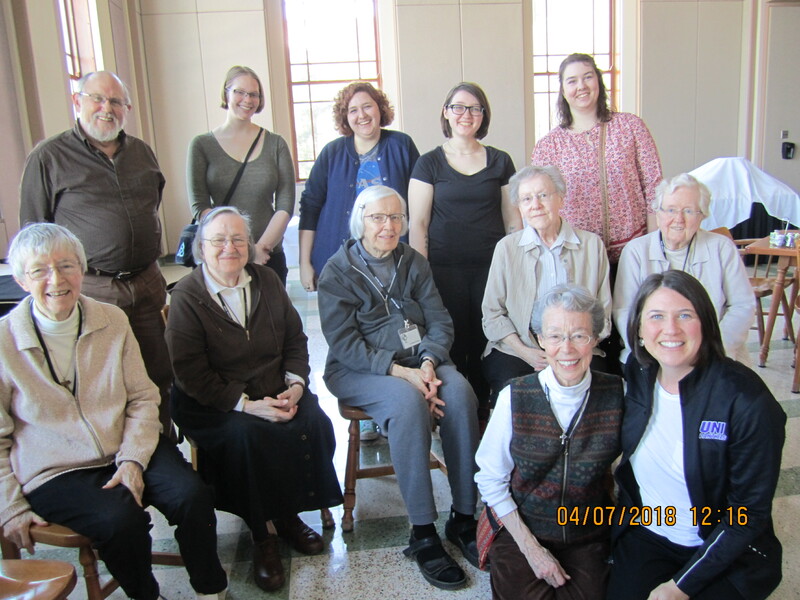 Who better to talk to them about medieval monastic life than the Poor Clares? At one point in the conversation each Clare was asked to share her vocation story. No two are alike! This entry was posted in Celebrations by Beth. Bookmark the permalink.